Having interviewed many of Australia’s top entrepreneurs, business leaders and owners. In April 2013, as founder of Ingenious Oz Project he began on a series of solo motorcycle trips throughout Australia to discover ingenious Australians and share their stories. His quest is to inspire the ideas of a Nation. Having spoken at countless conferences, his work has taken him around the globe. He has advised Members of Parliament, C-Suite executives and entrepreneurs. Organisations in a myriad of industries including IT, Franchise, Events, Marketing, Finance, Pharmaceuticals, Government and Telecommunications have benefited from his experience and expertise. 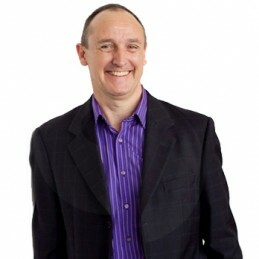 Nigel knows first hand what it takes to get an audience engaged and to take action, having spent the last 2 decades in business events, as a presenter, business owner and content director; all of which adds up to the simple fact that he understands conferencing and events and how to maximise your investment. As a business owner, he knows first hand the highs and lows of business, having been on the business front line most of his life and having created his first business at the age of 20, selling it for a profit a year later. Nigel built Absurd Entertainment, one of the first entertainment companies to design and create entertainment specifically for events. He worked extensively on the 2000 Olympics, was entertainment advisor at the Paralympics, grounds entertainment producer of the Sydney Royal Easter Show for 6 years and still hold’s the acolade of being show director for Australia’s largest ever corporate event in 2005. Great enthusiasm and tangible takeaways to apply immediately. Fabulously motivating speaker and presentation, yet still grounded in reality.